Whew! This One Room Challenge is flying by! 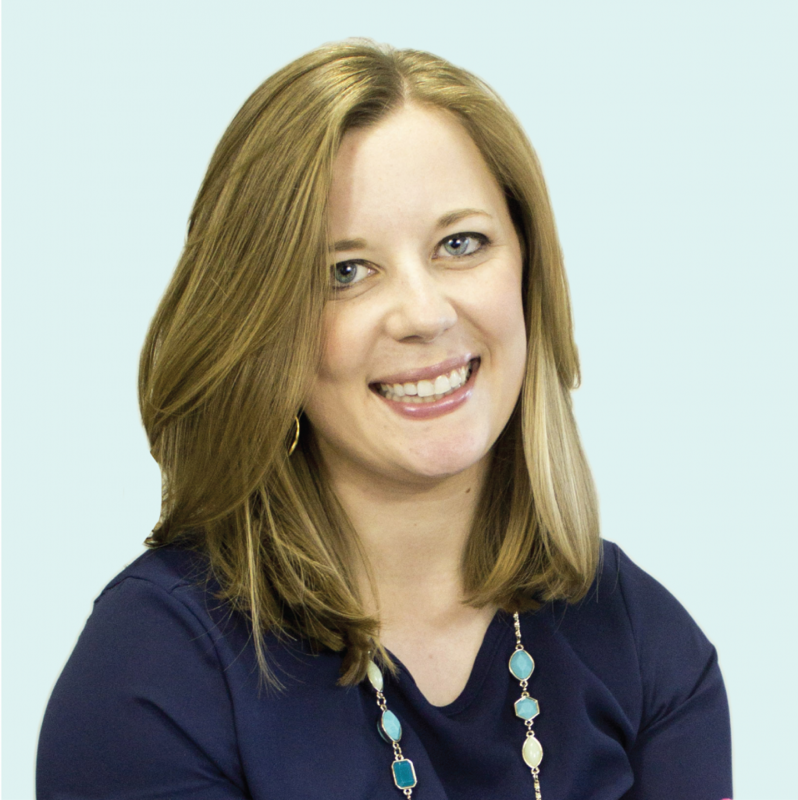 Today marks the beginning of the third week of the challenge, where hundreds of bloggers are racing against the clock to complete a room makeover in just five short weeks. My master bedroom has come a long way since I first shared my plans with you two weeks ago, but I still have a ton left to finish up over the next few weeks. Since this is a decorating challenge, I hate to admit that I hardly did any decorating this past week. But what I did do a lot of was organizing (one of my favorite things to do!). 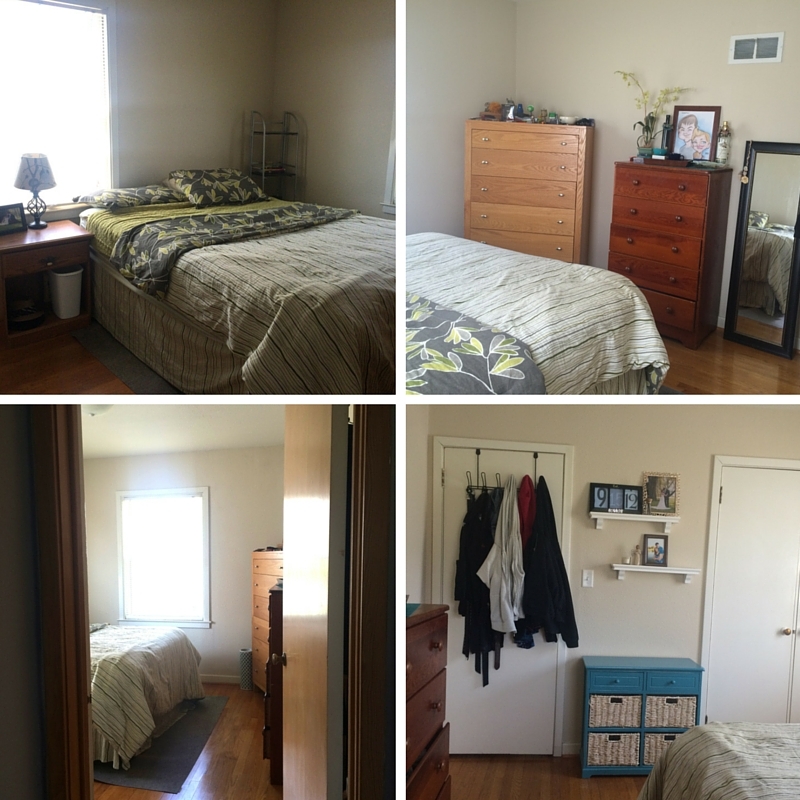 Thanks to the completion of one furniture redo, the room looks a bit more put together, but most of my work from this week is hidden inside the closet and dressers. I was hesitant about the plan for dark navy walls, but I just can’t get over how beautiful they look and how relaxing the room feels with a deeper color. The blue walls really make that white trim pop! 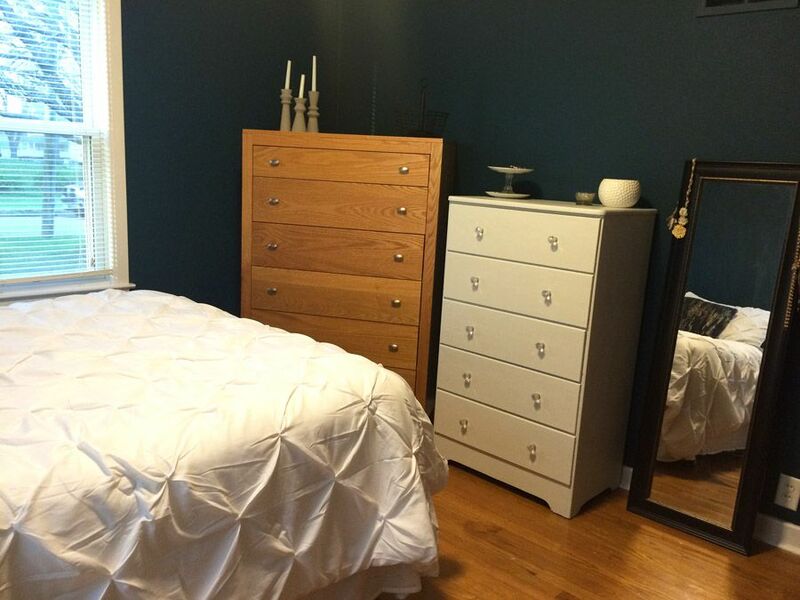 One of my big projects for this room was to paint my dresser. It’s been passed between several family members over the years, and its stain wasn’t very well done. While it has good bones, it was begging for a face lift. Something about furniture projects makes me really nervous, so I’ve successfully avoided painted this one for several years. But I built up the courage to purchase some chalk paint and try my hand at painting furniture. And guess what? It was super easy! I dread furniture projects because I think of lots of paint stripping, sanding, drying time and many coats of paint. But I didn’t have to worry about any of those things with this paint. I’ll share a whole blog post with the dresser transformation details later on, but for now I just want to show you how pretty it looks in a bright white. And check out those diamond knobs from D. Lawless Hardware! I also lined the bottom of the drawers with a black and white striped wrapping paper, which is a huge change from the kiddish colorful triangle contact paper that used to cover those drawer bottoms. I could gush about my feminine dresser all day! 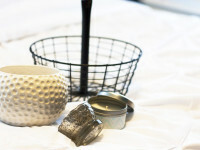 More on the dresser (and a lot more photos) in a future post. As I mentioned, most of my time this week was spent organizing the things behind the scenes. I’ve been wanting to purge a lot of clothing all winter, but just never got around to doing it. I knew it would be a big project, and it most definitely was! 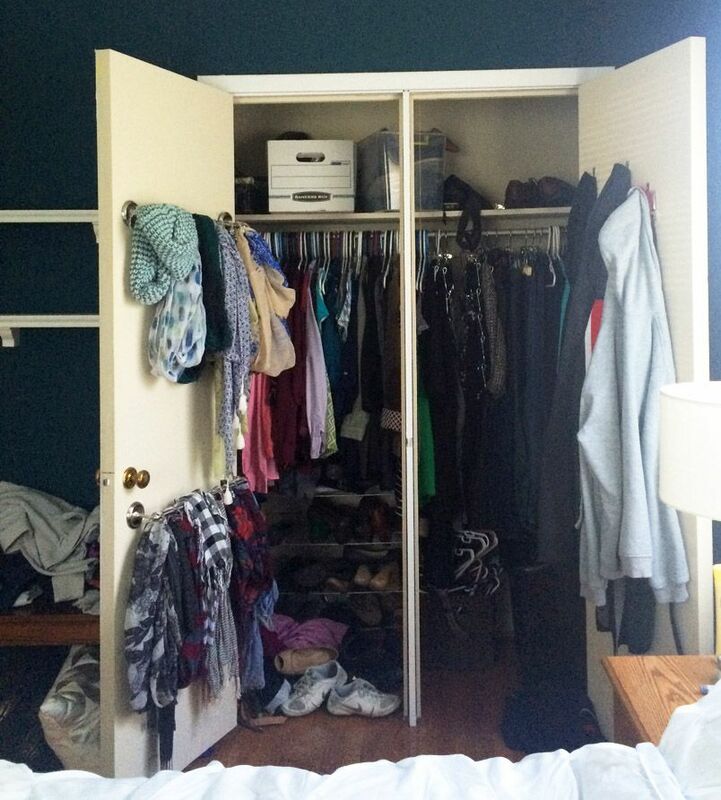 Our closet was packed with clothing, much of which I never wear, and a mess of shoes had overtaken the closet floor. 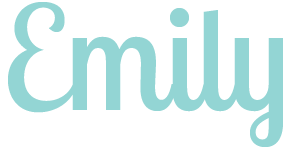 Inspired by The Life-Changing Magic of Tidying Up (that’s an affiliate link, see my disclosure here), I followed the KonMari Method for organizing clothing. 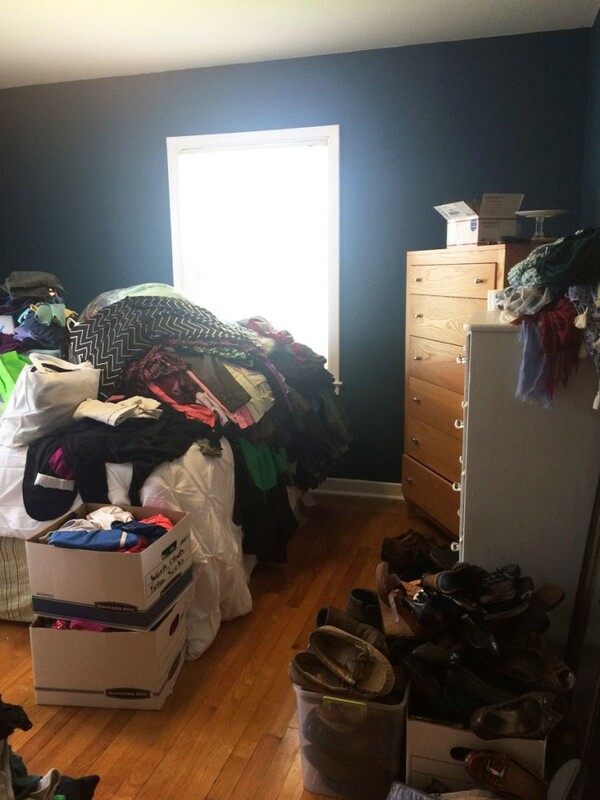 I gathered up every piece of clothing in our house and piled it in the bedroom. Then I went through every single item and chose to keep, toss or donate. It was liberating to let go of clothes that don’t fit anymore, shirts that never fit quite right in the first place, and dresses I bought but never really wore. 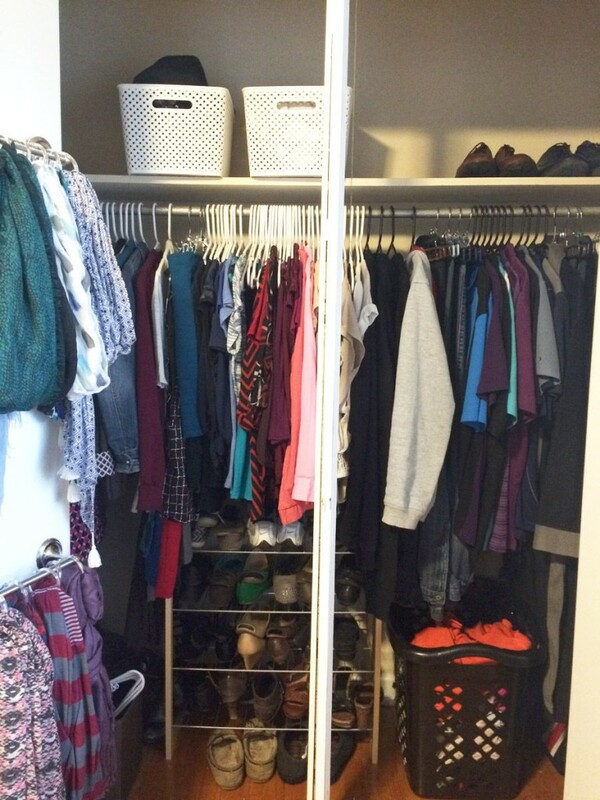 I’ll share more about my KonMari experience in a future blog post, but for now I want to show off my organized closet…. …and my crazy organized dresser drawers. 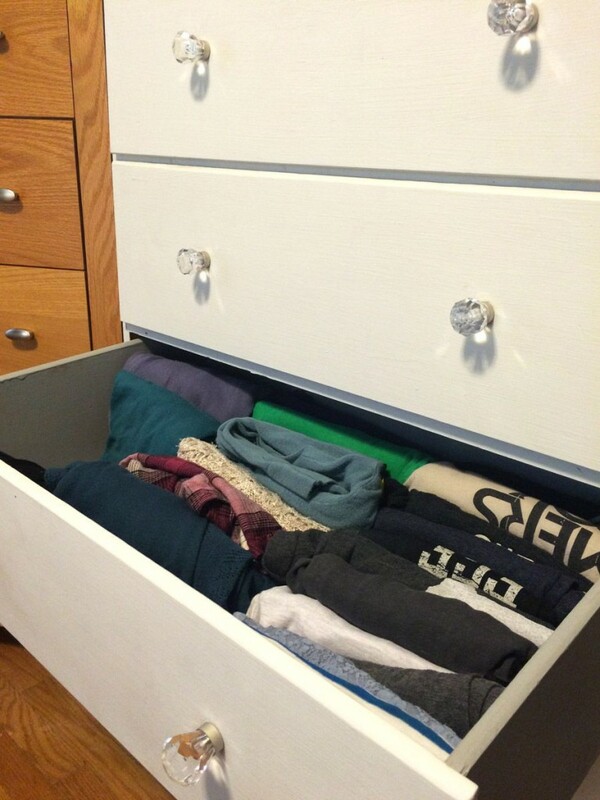 It’s amazing how easy these drawers will shut now that they’re not crammed full of clothing. When I say I got rid of clothing, I really mean it. I’ve never purged so much clothing. We’re talking bags and bags and bags. I highly recommend taking a day to do this. I’m so excited about my organized clothes that I can hardly wait to write all about it in more detail in a blog post, so stay tuned! See, I told you I didn’t accomplish much decorating this week. But I did get to nerd out on organizing for a couple days! Our room feels so organized and functional now. It was definitely worth taking the time to sort through our clothing so our new room makeover will also be an organized one. This is going to feel like a whole new room when I’m done with it! My big goal for this coming week is to build a pallet headboard. Hopefully I’ll be able to show it off to you next week! I’ve been thrifting and garage sale-ing for a second nightstand and plan to paint our current one. I’m also going shopping this weekend and hope to find curtains. 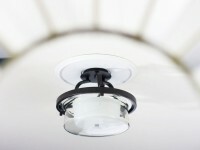 Oh, and my light fixture just shipped so I’ll be learning how to replace a ceiling light soon. Once those projects are complete, it will be time for the best part: adding in wall art and pretty accessories. Those finishing touches are my favorite! 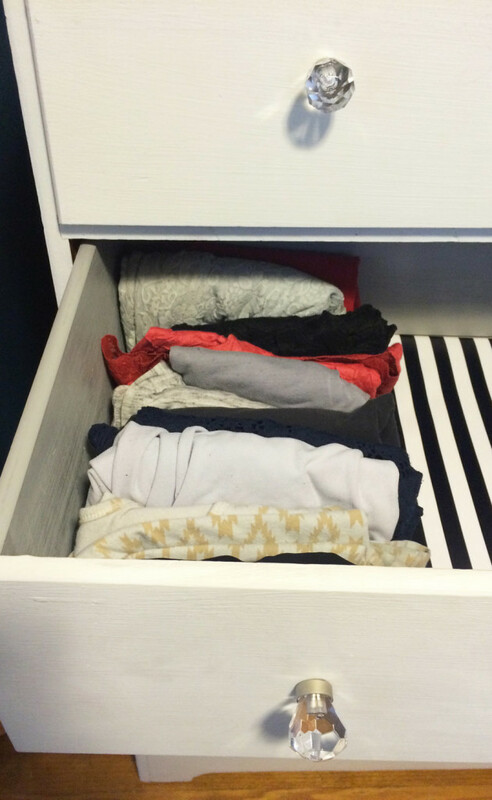 Have you tried the KonMari Method yet? What do you think of my newly painted, feminine dresser? P.S. 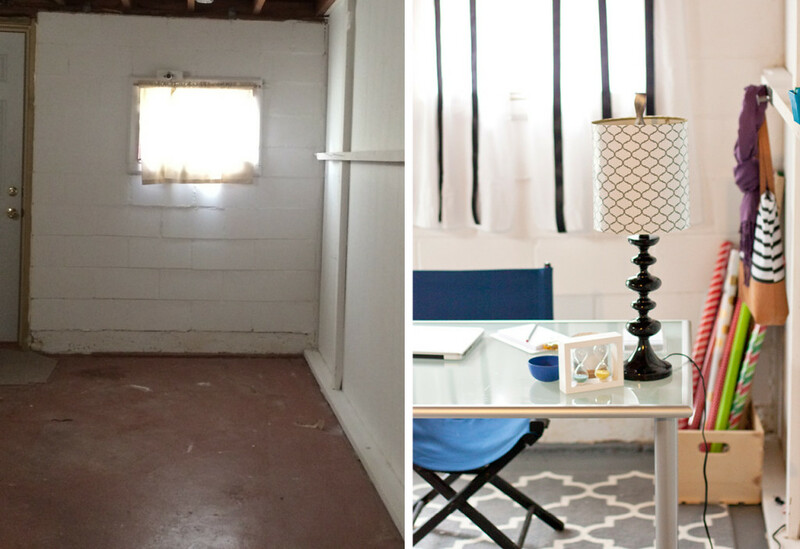 I participated in the One Room Challenge for the first time last fall, when I transformed an ugly basement room into my jewel tone craft studio. You may enjoy checking out all of the before and after photos in the final room reveal blog post. And if you want to see more room makeover goodness, go check out the progress all of the other bloggers have made on their One Room Challenge rooms this week. The Life Changing Magic of Tidying Up is probably my favorite book I’ve read so far this year! I love how you documenting cleaning out and organizing your clothes..I would be too nervous to show off my pile to the world! 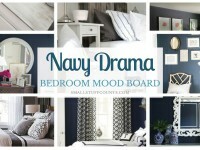 Yay for navy One Room Challenge makeovers! Can’t wait to see more. Oh my gosh. Reading this makes me so amped up and excited! I can’t wait to see the finished room and to continue reading about what you are going to do next! Emily we love the dark navy walls! We painted our ORC closet feature wall in a similar color. You have made so much progress…and we can’t wait to see the headboard! Cheers to a great week.